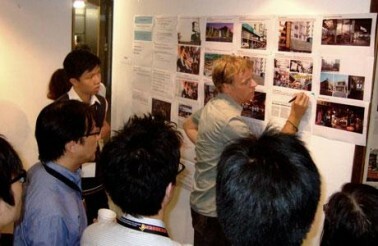 Winy Maas and T?F are currently leading a masterclass in Hong Kong. Under the title "Hong Kong Fantasies", an international group of students and mentors develop visions for the future of the city. Together the group is producing a movie that will be presented at the Business of Design Week in Hong Kong in December 2008. The master class is a collaboration of the Chinese Hong Kong University, the University of Hong Kong, TU Delft and the Berlage Institute and has been initiated and organized by the International Forum of Urbanism.